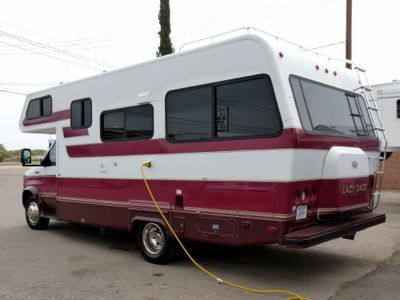 Today I drove out of Tucson AZ with my ‘new-to-me’ motorhome. 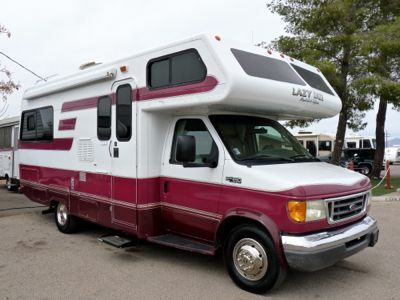 It has taken a long time researching for a quality RV, looking for just the right one, and saving to make the purchase. 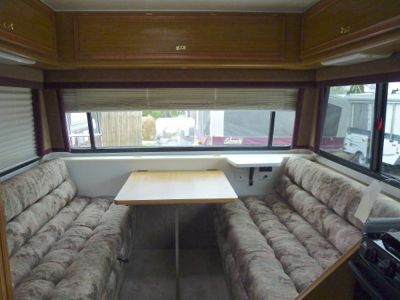 Here is my red and white 2004 Lazy Daze Twin-King 23.5 ft model. 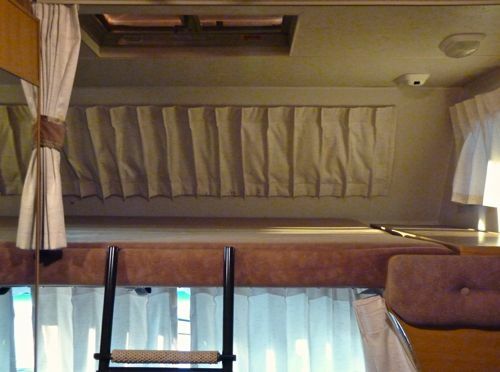 I will do a more thorough description about the features of the motorhome in a later post. For now, some photos will suffice. Feel free to ask questions or comment. 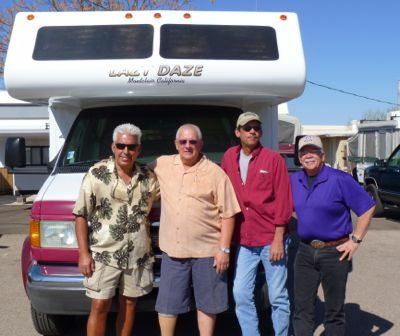 The crew at Tucson Park & Sell RVs are very easy to deal with, and really know their stuff. Plus they were very patient and spent two days with me going over everything. I recommend them highly for anyone in the market for a pre-owned RV. I’m off for my long return trip to Florida, as the plein air journey begins on a beautiful sunny Arizona day which just happens to be the first day of Spring. Yippee! Congratulations! Great looking rig! 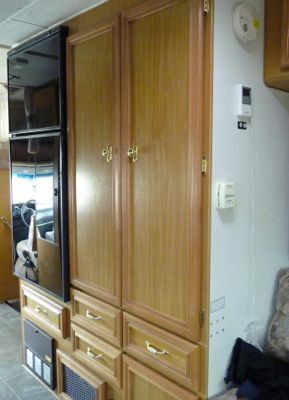 Look forward to following your RV painting journey. CONGRATS!!!!! Looks nice and certainly well kept by previous owner. Looking forward to more photos. Can’t wait to hear more….. Thanks all for the congrats. I think it will be the perfect rig for my journey. I’ll be posting about my trip back east, so check again later. I appreciate everyone that comments. David, we are looking forward to having you as a member of the SELD group. Our next gtg is near Chattanooga in October. Hope to see your new rig then. Thanks Ed and Jeanne for the invite. I just might be able to make that GTG. I’ll be looking forward to participating as a member instead of a visitor. Yippee! Congratulations! That’s a beauty. 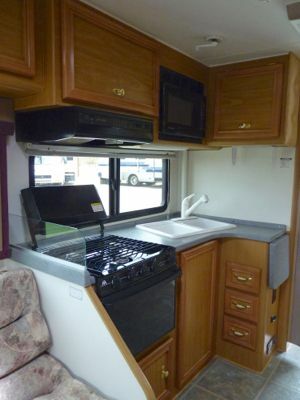 I was in Quartzsite this winter and toured the Lazy Daze of a fellow camper ( full-timer) and was very taken with the design. I especially loved the big view in the back. May you travel many happy miles! So happy for you!!! That is a beautiful Lazy Daze RV. Looking forward to following your travels. Congratulations! That wraparound window is great! At first light in the morning you can poke your head up, look out at the sunrise, and be inspired to bolt outside to paint. It doesn’t get any better.